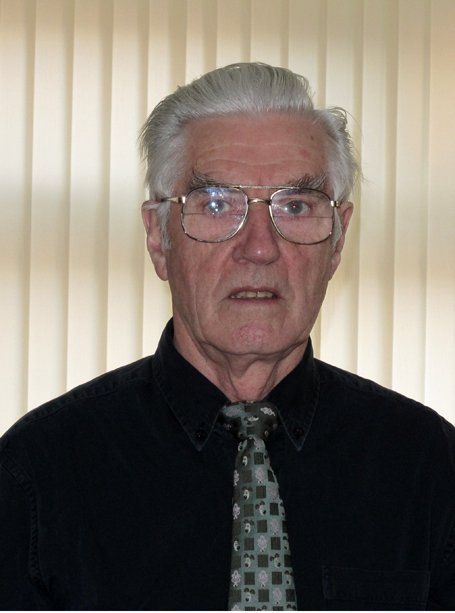 The Committee are delighted to announce that long standing life member John Prescott has accepted the role of Club President and was duly appointed at the last Committee meeting. 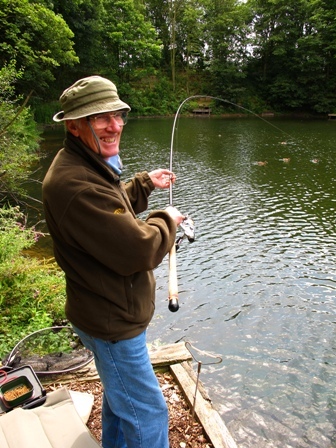 John takes up the position at a time when the the club continues to grow and maintain its position as one of the North West’s premier angling clubs. 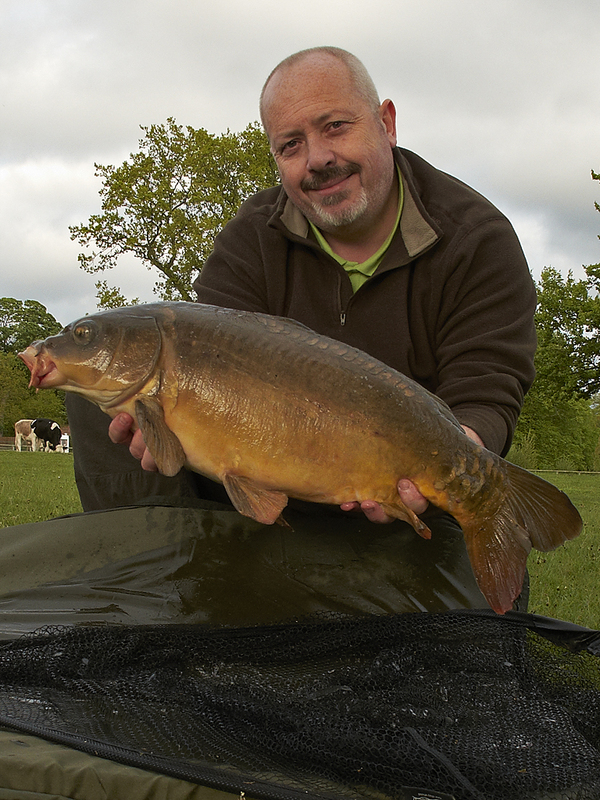 The President will represent the club at all levels of angling and we are delighted to see John join the team. I am a retired scientist whose career started with the United Kingdom Atomic Energy Authority and then at the University of Liverpool working in a branch of radiation chemistry. For the club’s website the Committee gave me the user name of RADIOACTIVEMAN. 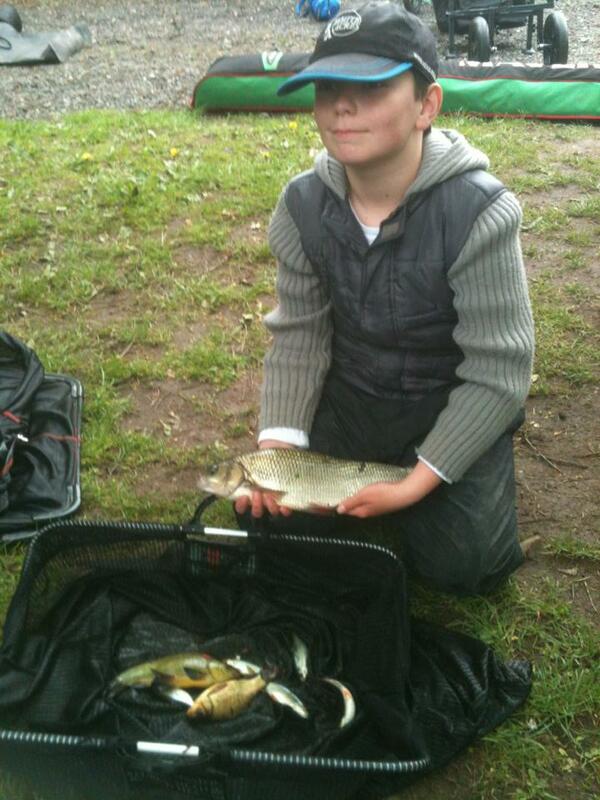 I joined Lymm Angling Club in the 1980’s. My involvement with the club was helping on work parties, becoming a Committee member until my late wife’s illness when I took a step back from my responsibilities with the club to look after her. 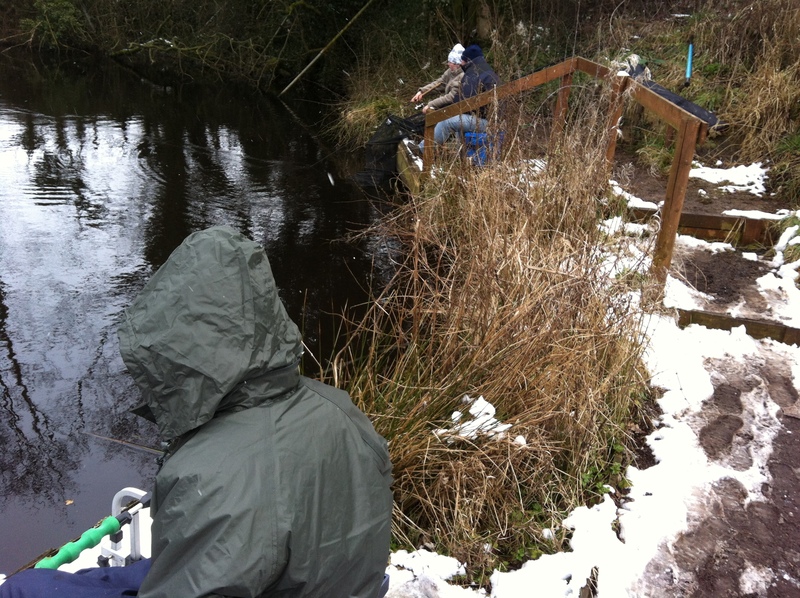 During my time on the Committee I held the position of Water Quality Officer producing a 168 page report entitled Basic Water Quality Tests on Selected Lymm Angling Club Waters 1998-2001. After recovering from the shock of Brenda’s death, I returned to the fold and organised the then Wednesday night admin sessions, helping to process memberships and ensuring the club continued to run smoothly. In 2005 the Chairman and Committee asked me to write a waters guide for promoting the club at countryside shows. It was also used to show fisheries owners how the club cares for fish and the environment when discussing potential new waters. 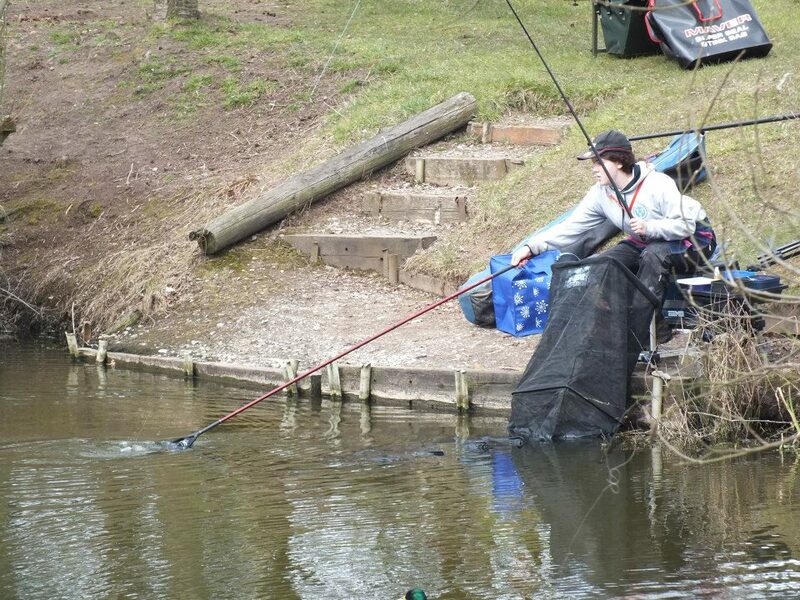 I took on the task photographing all club waters and wrote about individual waters which, a year later, resulted in a portfolio book called A PICTORIAL GUIDE TO THE WATERS OF LYMM ANGLING CLUB which I proudly presented to the Committee in 2006. I’m pleased to see the original book is still in circulation and I have recently added our newly acquired waters to it’s ever growing pages. I was honoured to accept the privileged position of President when recently asked by the clubs Chairman, Treasurer and Trustee on one of my regular Saturday morning visits to Lymmvale. Hopefully I have the ability to fulfil the role as competently as previous Presidents and look forward to meeting members both on the bank and at club events. Nothing unusual in that you might think, a 20lb carp is very achievable at this premier Lymm AC water but although Mark Johnson did land a carp of well over 20lb, in-fact it was closer to a thirty than a twenty, he had another 19 fish in the same sitting making this a 24 hour session he’ll remember for a very long time!! Belmont regular Mark takes up the story in his own words written shortly after the session of a lifetime. When you’re my age, with a slight back problem, overweight and very unfit, all the associated ‘graft’ with fishing becomes a chore, i.e. 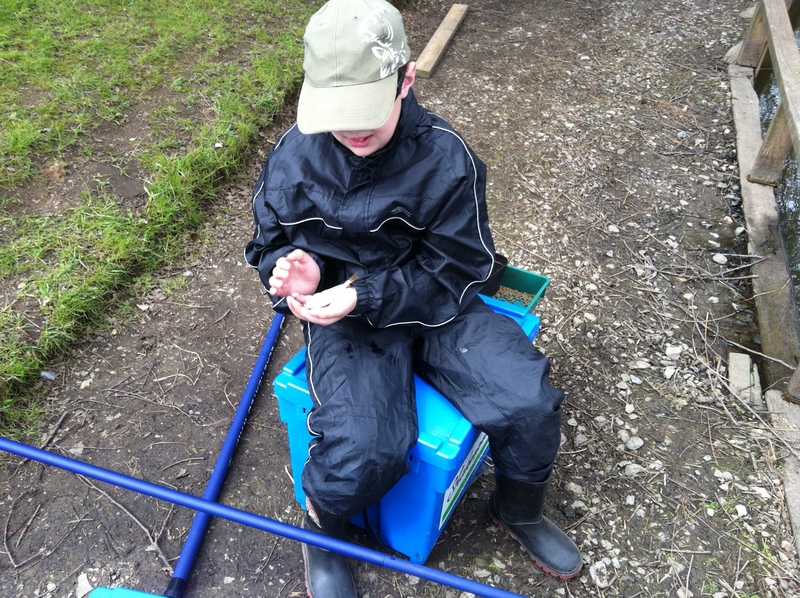 loading/unloading the car, barrowing all your kit about, climbing stiles etc. 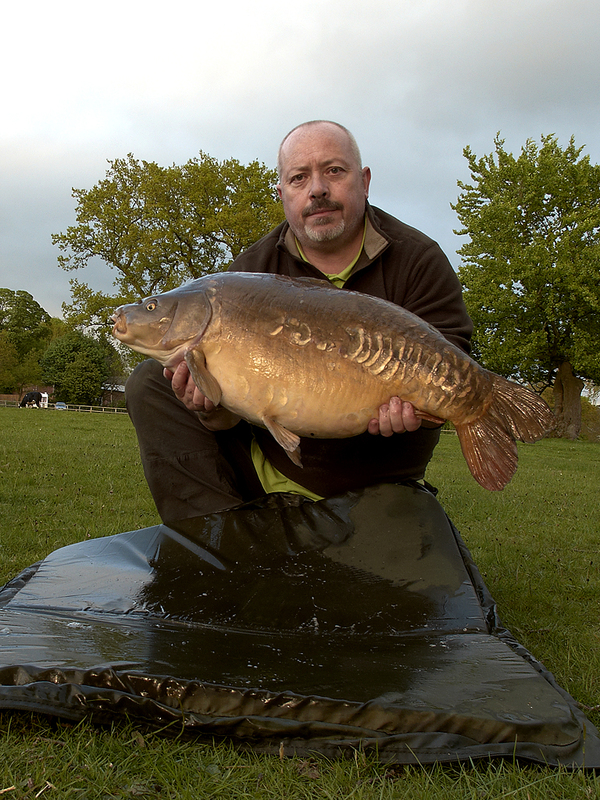 then there’s the added inconvenience of actually catching the odd fish at stupid hours, jumping out from under the brolly, puffing and panting playing big fish, wrestling with them on the mat, holding them up for pics et al. Well, yesterday, I did all of that 20 times! I’d finished a night shift and had a couple of days off, so I spent the morning at home sorting my kit out and then a leisurely drive to Belmont, to chuck the rods out and maybe grab a couple of hours ‘nap’ time. 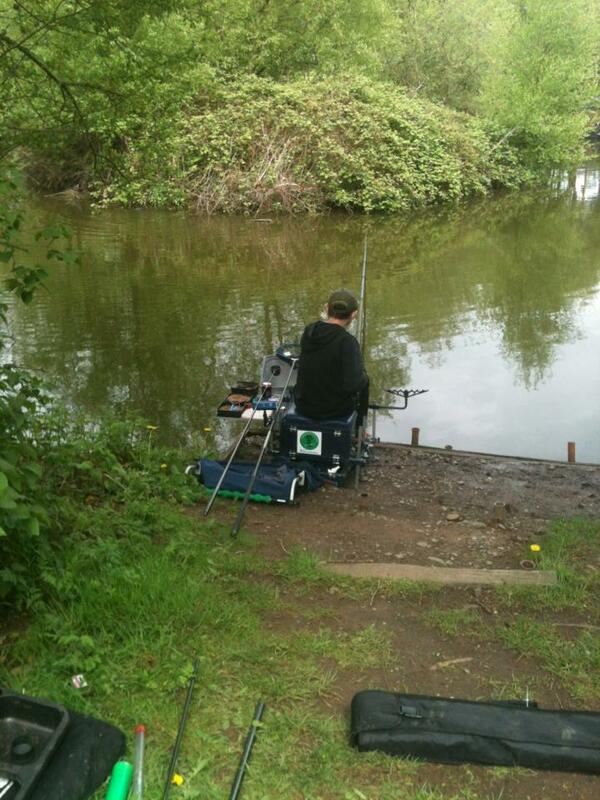 I wasn’t really bothered where I fished (Serpentine or Belmont) I just wanted a bit of chill time. I ended up on Belmont, started fishing at 12:30 and by 12:33 I’d hooked my first fish. By 13:05 I’d had two and by 13:30 I’d had three! My plan to have a little snooze was put to one side for the time being. 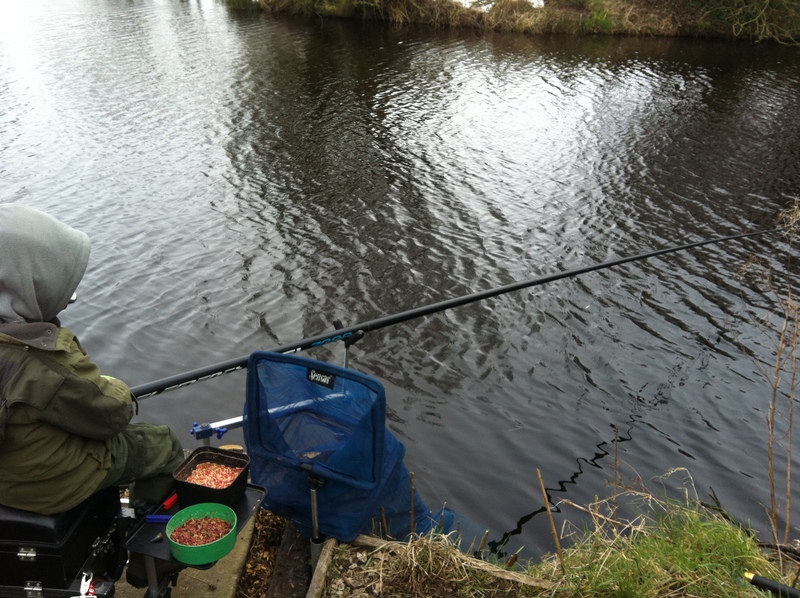 I spent the next hour or so sorting out the rods with new rigs, fresh bait etc. With both rods now re-cast, I set about making a brew and just as the kettle was coming to the boil, it kicked off again with another 3 fish coming in the space of 40 minutes between 15:20 and 16:05 (I’ll list all the weights at the end). I was now contemplating just fishing one rod through the night as the thought of multiple or even simultaneous double takes was playing on my mind. I needn’t have worried as, bizarrely, except for a fish at 23:25, the night was quiet. Amazingly, though I’d had hardly any sleep in the last 24 hours, I couldn’t sleep! So, at 05:05 I was laying on the bedchair watching the indicators, as the right hander slammed into the underside of the rod, this signalled the start of another carp ‘onslaught’ resulting in five fish in just over an hour and a half, with the runs coming at 05:05, 05:20, 06:05, 06:25 and 06:40, during this time, I couldn’t keep both rods in and resorted to fishing just the one rod. By now, I was absolutely drained and much in need of a kip, but it suddenly dawned on me that I’d now had seventeen fish and the possibility of doing twenty wasn’t unrealistic given the way they were ‘having it’. I had momentarily considered packing up and going home, but now I was going to stick a couple of matchsticks between my eyelids, ignore the agonising pain in my back and go for the twenty fish target. New rigs all round, together with fresh hook baits that had been soaking for a while and we’re good to go! Fish #18 came at 07:40. Forty minutes later and number 19 is in the net. Just one rod left out now as the last fish had done the old ‘knit one, perl one’ and I’ had to bite the line. I took this opportunity to start slowly packing my gear away. I was actually starting to doubt whether I could get the 20th fish as it had gone a little quiet, but at 09:30hrs, I heard the line ‘crack’ out of the clip (I’d put my remote away in the rucksack and turned the alarm off) and the rod tip started to curve. I didn’t wait for the spool to turn and bent into the fish and drew it over the cord after a few minutes scrap. I was exhausted, racked with pain and very smelly! Even as I type this, I’m still aching, but it was worth every minute! As I said earlier, I promised a bit more about the fish at 19:30hrs. Well, while it was thoroughly enjoyable catching all these fish, the stamp was around low to mid-double with the exception of one an ounce off twenty. I’d been doing the ‘Please Lord let a big one come my way’ prayer and it was answered. 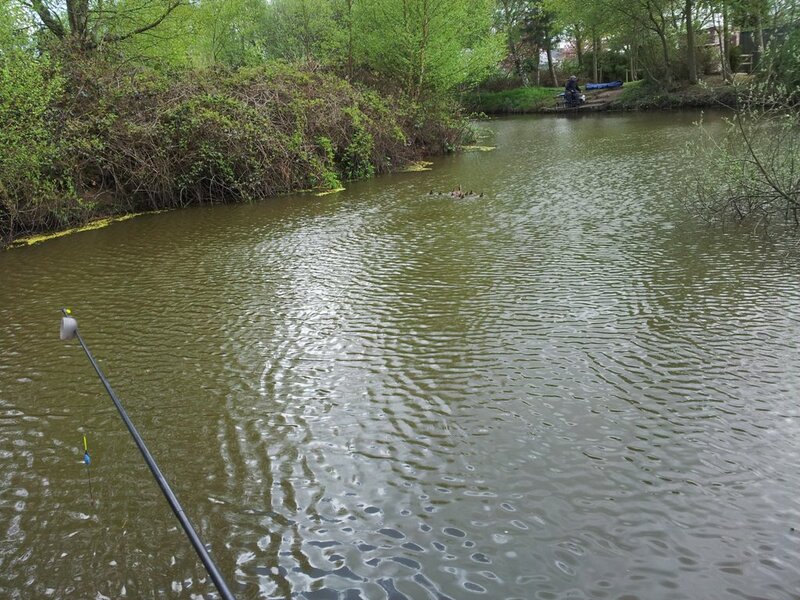 I knew was a better fish as soon as I hit the run, it just did the old plodding around, hugging bottom routine for ages, then every time it neared the net, it just took off on slow powerful runs. After a good five minutes, she was ready for the net and as her nose hit the spreader, I knew it was a ‘lump’. The scales agreed with a weight of 28lb 6oz and the icing on the cake. Below is a list of the fish for the record and a few pictures with the big girl. I didn’t get pics of all of ’em, mainly because they nearly all went berserk on the mat and just wouldn’t be held, all with the exception of the big girl who behaved impeccably. Today, Sunday 19th May was the penultimate round of the Spring Series and eyes are being cast very closely at the league table. 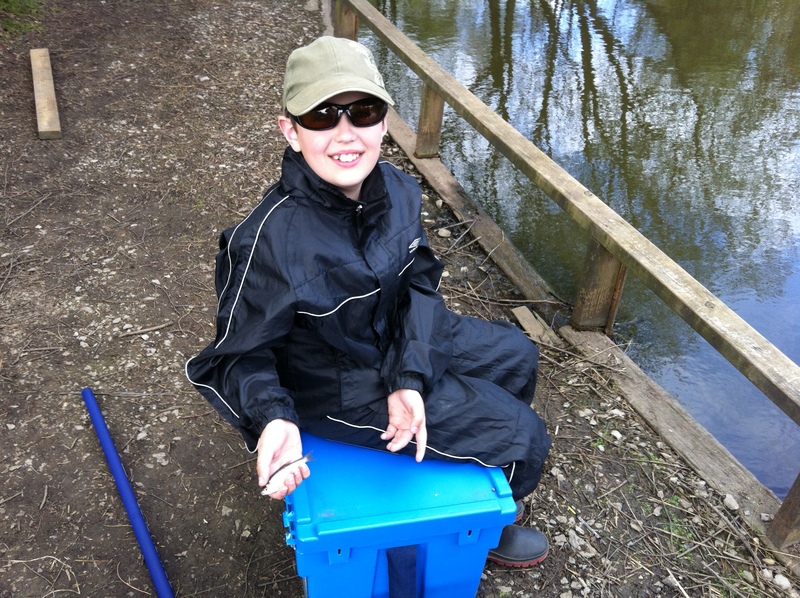 Today, was a lovely day around 18oC with a gentle breeze, a good day for fishing. 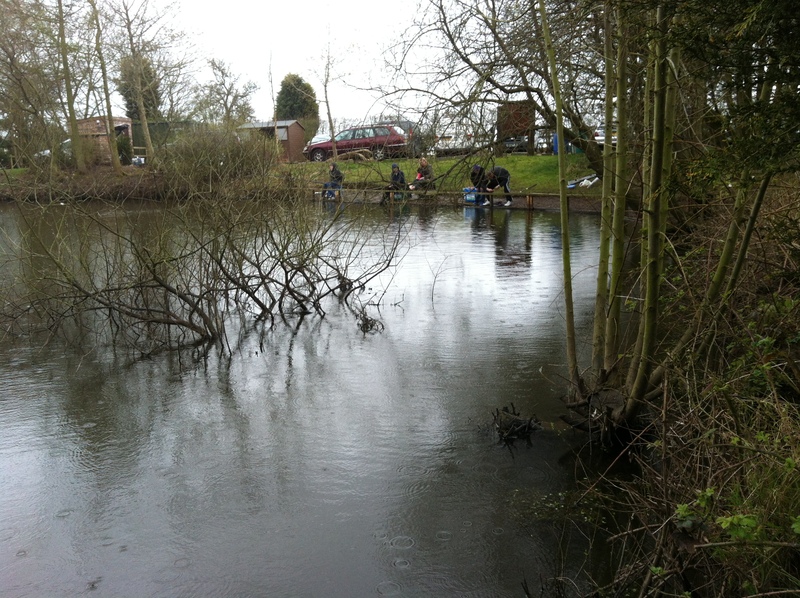 Rain the week has brought the water level up a little to flood the Academy pegs but they are still fishable. 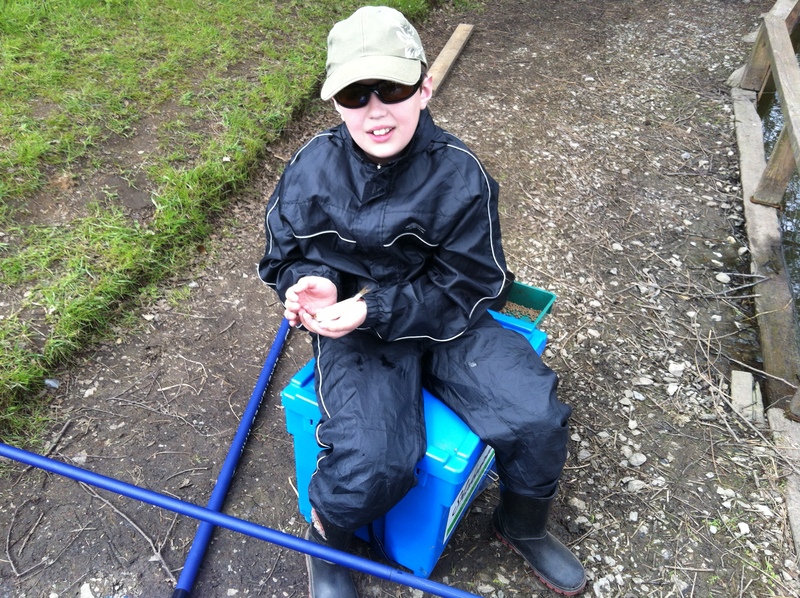 Six of our Academy youngster were asked to all the elements together from the Academy sessions to show the coaches that they were able to fish with a minimum of assistance, and I am glad to say they did not disappoint Almost all of the children who took part before the sessions would not have been able to fish without an angler however, now they are able to bait their hooks, land and unhook fish and be able to find the fish even if the trickiest of lakes. 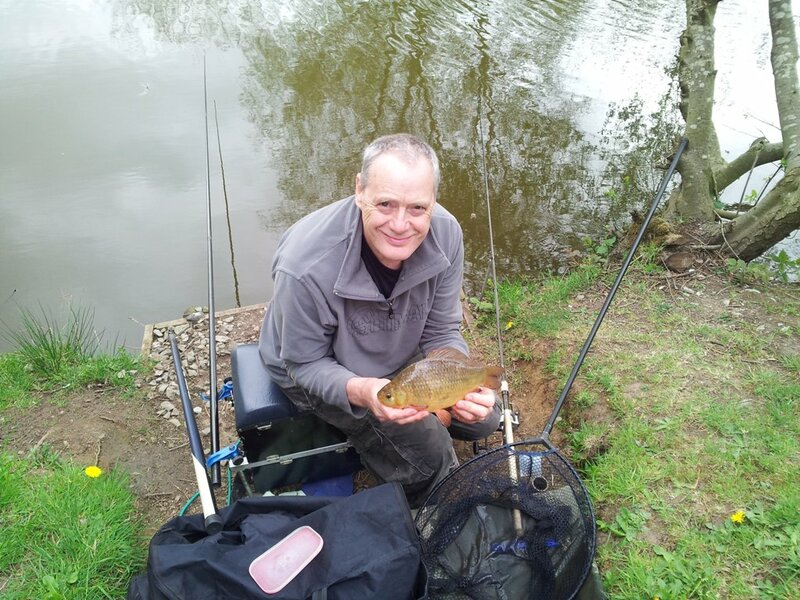 In the match the early fish fell to Richard Hadley who was catching small roach thick and fast. For the rest sport was slow with a few fish showing shallow but after an hour the fish moved out and were hard to come by. 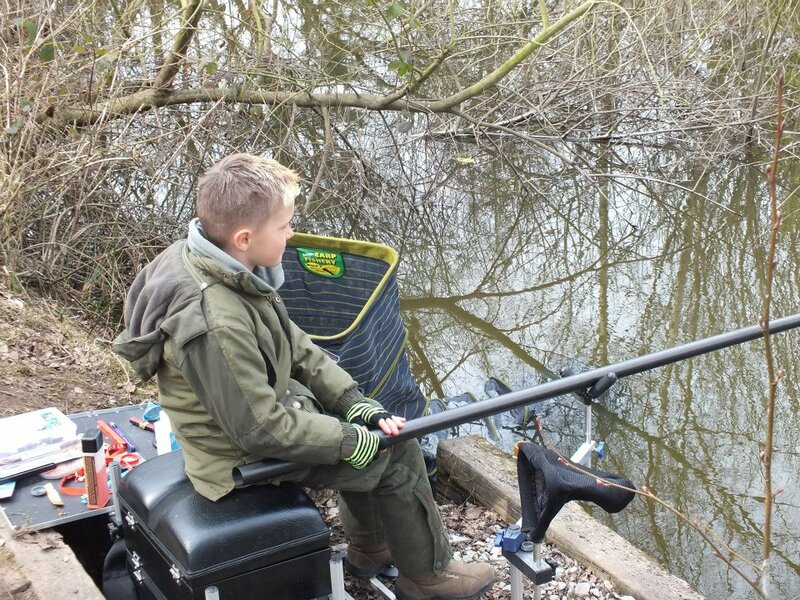 Kyle and Callum sharing a double peg were also catching well and moved out an extra section and was catching them at 10-11m. Mainly feeding pellet and catching on maggot. Sarah Taylor began feeding a swim with larger pellet and fishing hard pellet and the hook, almost instantly paid off with a large skimmer. 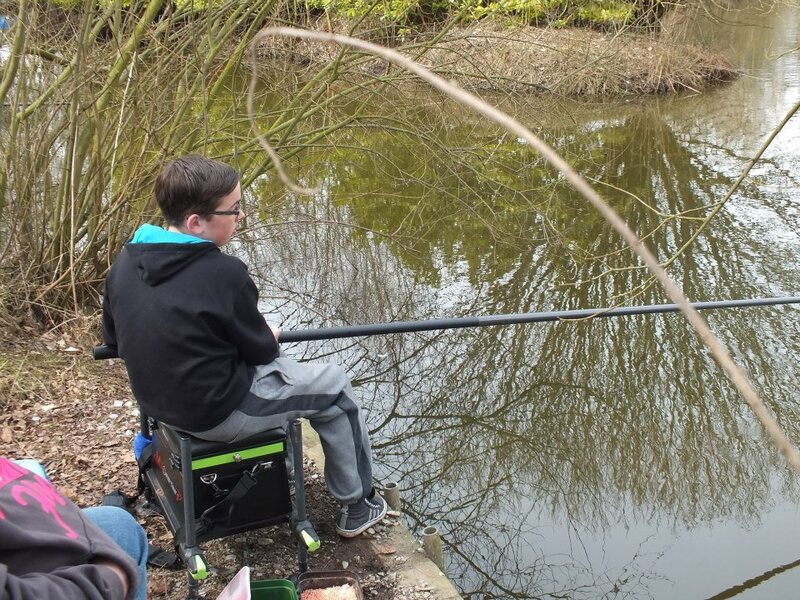 Next peg Alex Warham fished a small maggot feeder casting to the island however, failed to pay off getting good bites but not really resulting in fish. 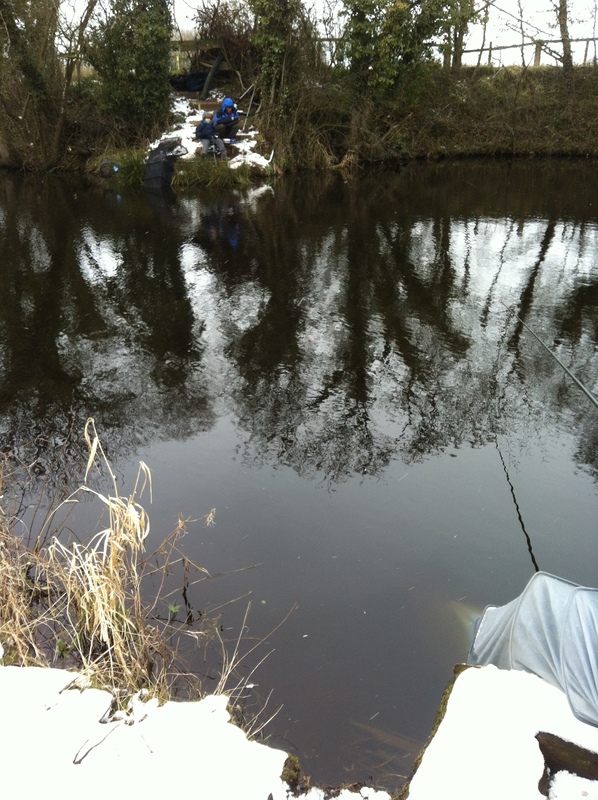 Over in the bottom corner new angler to the club Ronan was fishing a method feeder and getting skimmers. 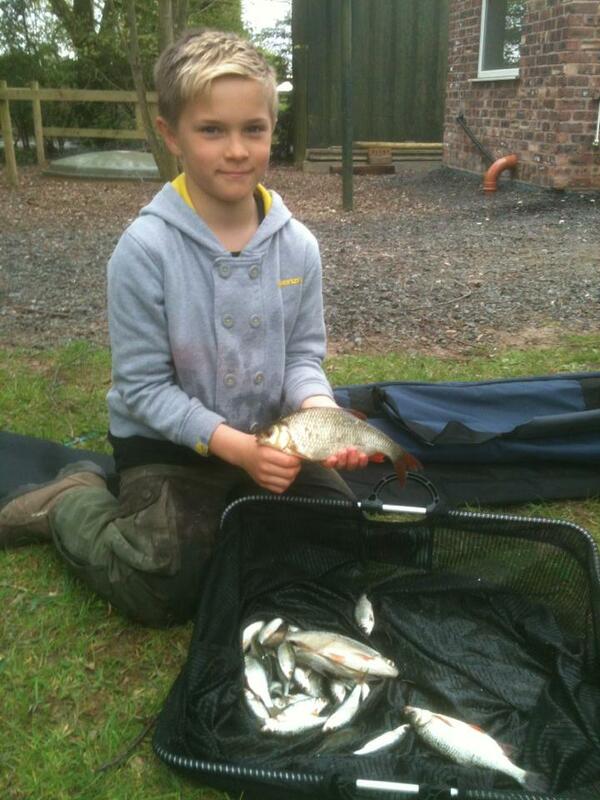 Early leader fished 4th with 2lb 1oz of roach caught at 4m on maggot. At close quarters the battle is on! 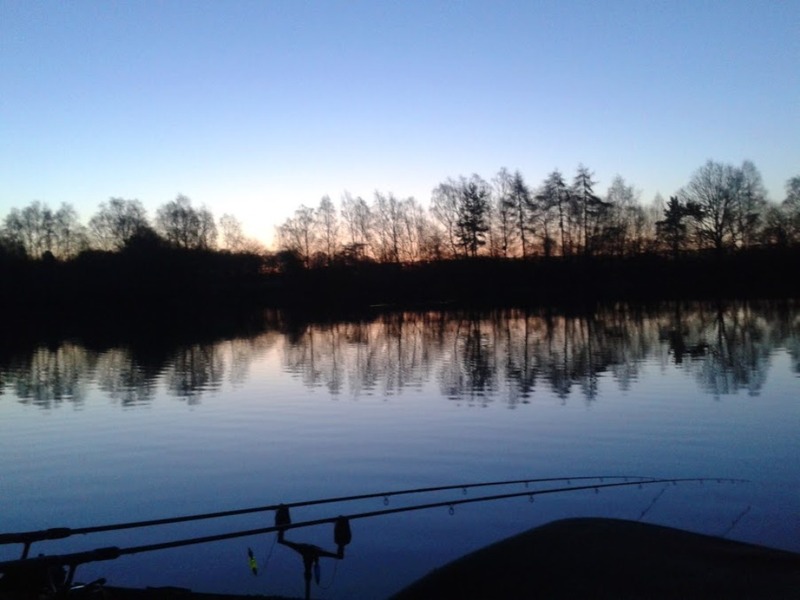 Long time member Jill Steen has not been fishing in quite sometime, well we’re pleased to see that has now been rectified with a very enjoyable session recently with her hubby Big Dave for company. 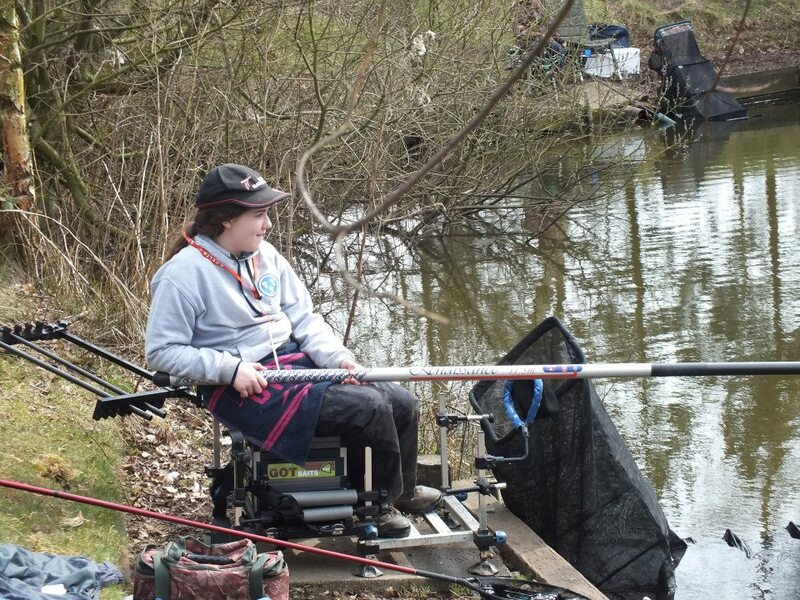 Here is Jills account of the day along with some great photo’s. 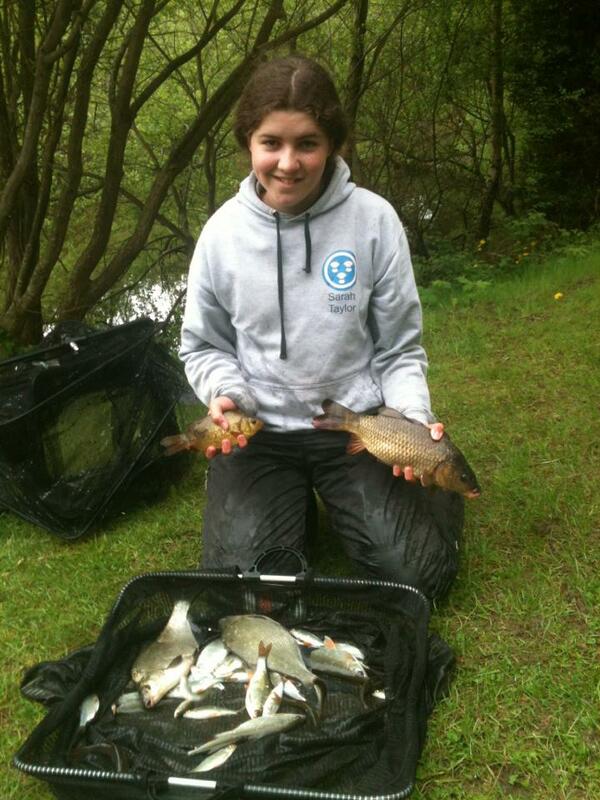 Good to see you back on the bank Jill and we hope it’s the first of many sessions this season. After over 3 long years of not fishing due to family issues and health reasons, I finally got back out on the banks yesterday! It was my birthday, so what better way to celebrate than to go out and get my trusty margin pole back in action at what was always one of my favorite venues “Spring and New Pool”. 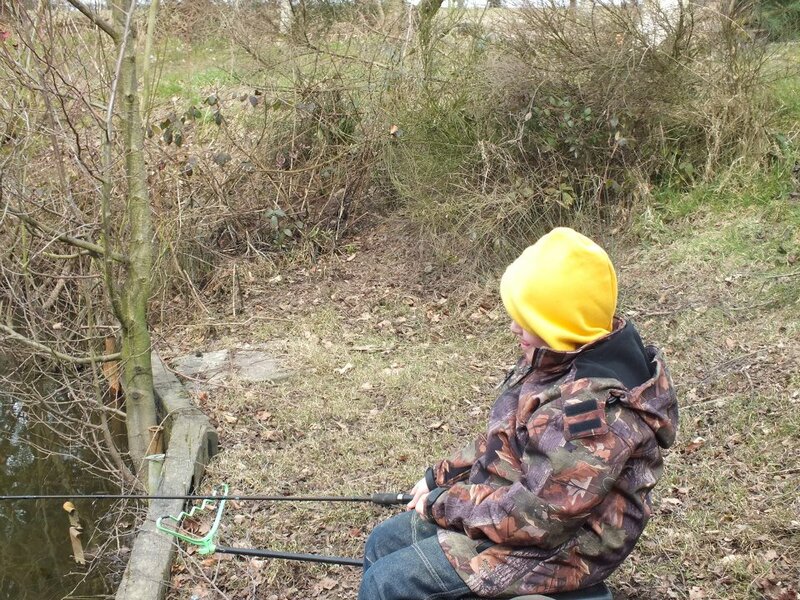 So after opening my cards & presents, and a hearty breakfast of Oat So Simple to keep me going lol – it was off to the post office first thing to buy a rod licence, and then off to Spring and New Pool with the big guy. The sun was shining and although it was quite windy it wasn’t cold. Dave helped me set up and I decided to fish about 4 feet from the bank in front of a bushy shrub. I started off with a single maggot on the hook over micro pellets and maggots, and was soon into a tiny roach of about 2oz. There quickly followed another tiny roach – even smaller this time – so I knew it was immediately time for a change in tactics. I switched to my favorite bait – sweet corn, and put a small but firm piece on the hook. This time I baited out a small amount of micro pellets and corn again, but no maggots. It was then a case of sitting patiently and waiting, and taking time to take in the beautiful surroundings. I cannot describe how awesome it was to see such greenery around me, to feel the wind and sun on my face, and to smell the familiar scents of fishing again. I have been housebound for so long, it was a real luxury to be back out in nature again. 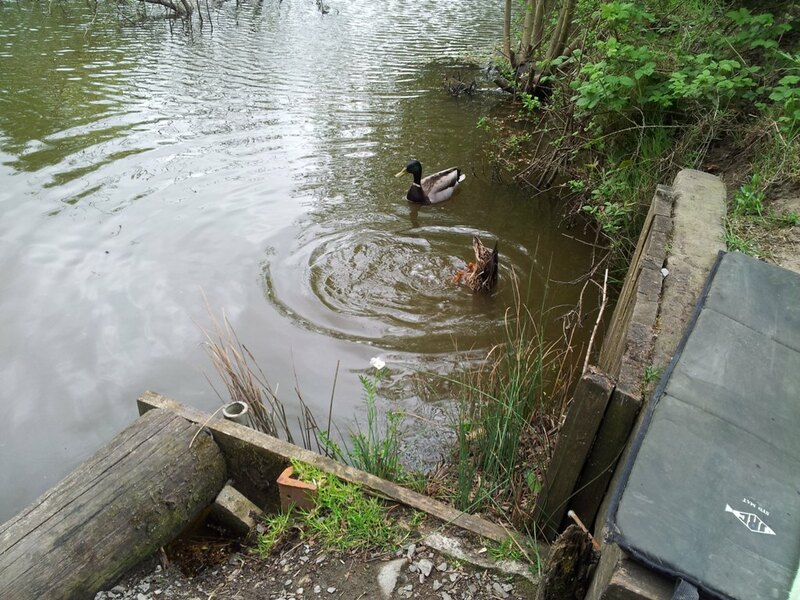 The ducks were well into their mating rituals and were making a lot of noise and doing a great deal of splashing and chasing each other. A mother duck swam by with 8 cute little ducklings. 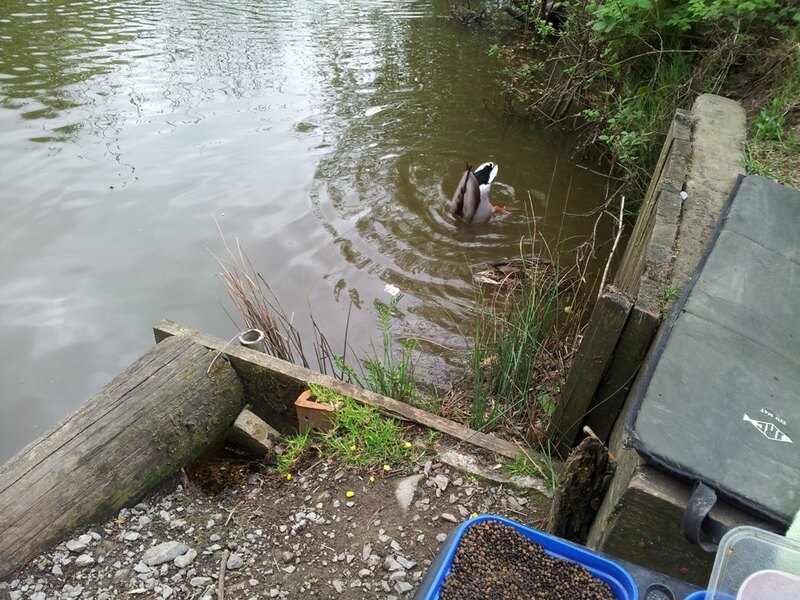 One mating pair then came up and sat beside me in my swim, quacking quietly to attract my attention, so I gave them a few maggots and the odd piece of corn here and there, and they remained beside me for most of the day. The drake had a beady eye on me while I fed his partner, and woe betide any other drake who tried to approach, he got well and truly seen off. 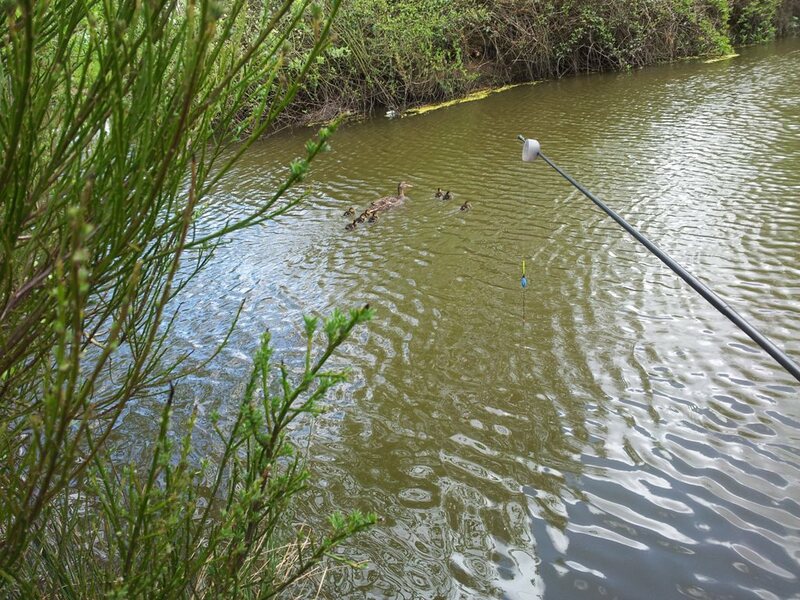 Still, by feeding them this way I kept them on my right hand side and out of my swim on my left. 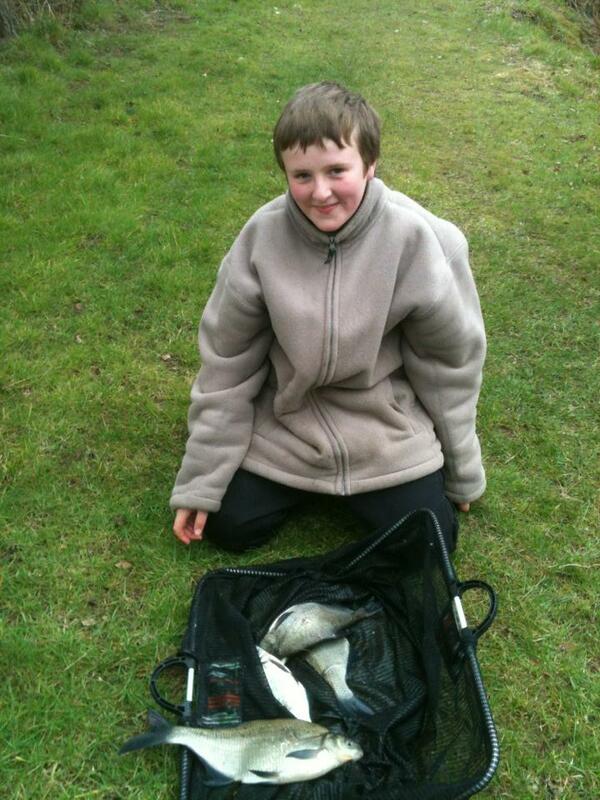 I was then into my first decent fish, and it was a case of playing it and trying not to lose it in my excitement. 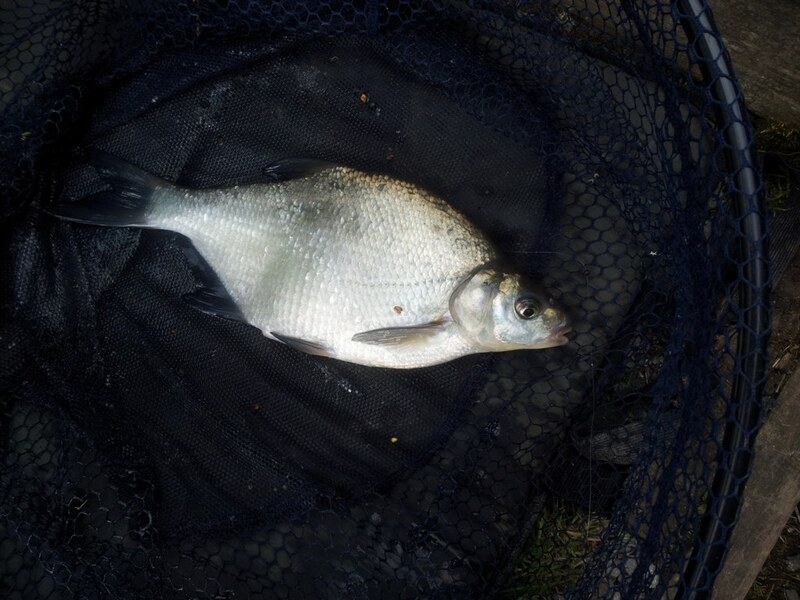 Dave helped me net it, and to my delight it was a skimmer of just over half a pound. This was quickly followed by a further skimmer of over a pound. 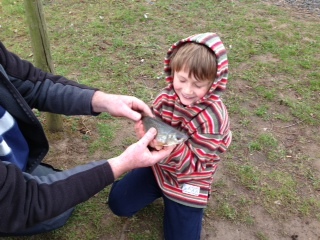 I was shaking so much I decided not to hold them as I didn’t want them wriggle out of my hands, so pictures in the net sufficed for now; it was just lovely to have caught my first fish! 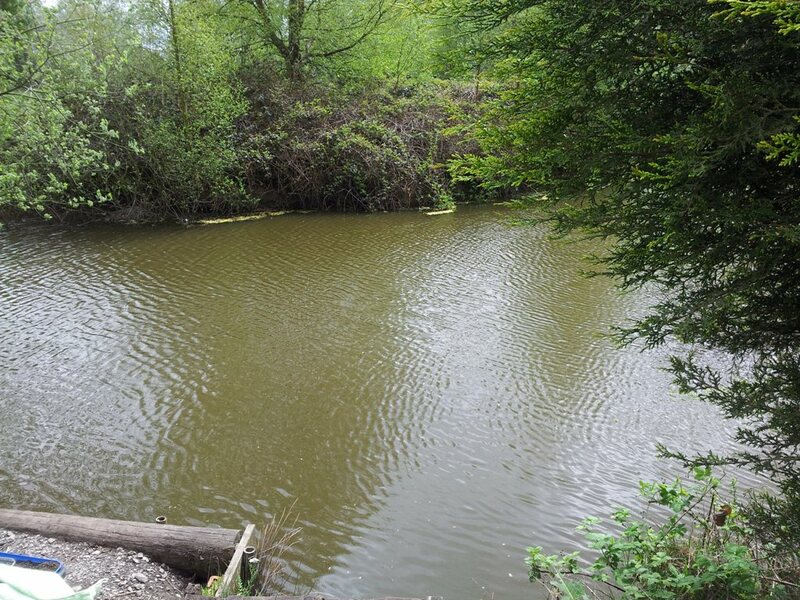 It was followed soon after by a male tench who weighed in at 2 1/2lb and again I decided against holding it. I need to get my mojo back first lol. 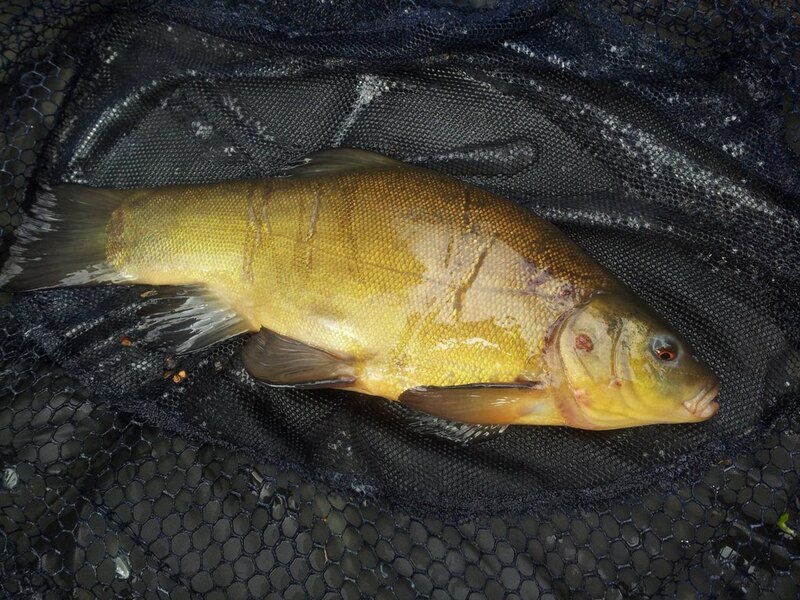 The poor tench looked as though it had a run in with a hungry cat-fish, you can see the marks on its side. We brought the gear in and had a cup of coffee and a bite to eat, and then it was back out again. Dave had blanked up till now, but he was finally into a very nice looking crucian so I was glad he got something as I would never have lived it down pmsl. 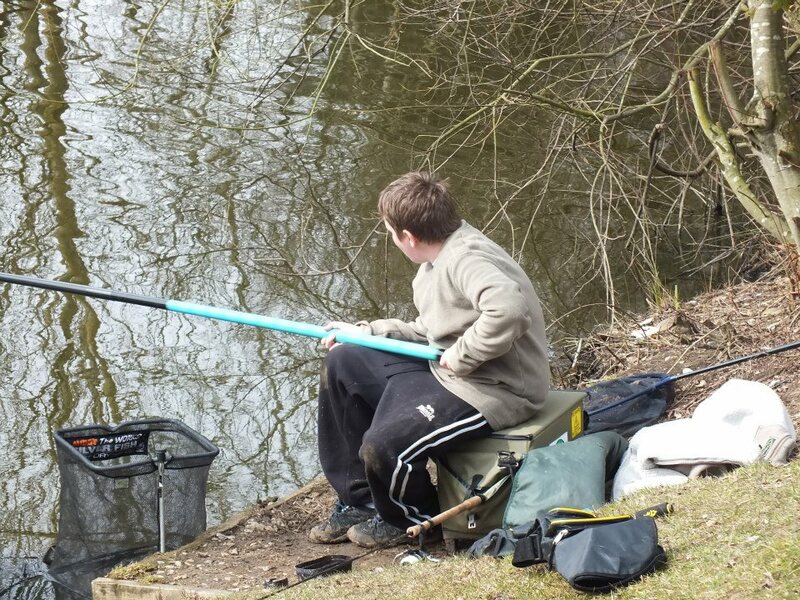 He kept on moaning on telling me he was using the same bait as me and couldn’t understand why he wasn’t getting any knocks let alone catching bless his cotton socks. We stayed until it started to go a lot cooler and the wind changed direction at about 3:30pm, and as there was no fish movement at all, we decided to call it a day. We came home, had a quick shower and went for a curry – all in all a terrific day and my best birthday in years. Here’s to next time! 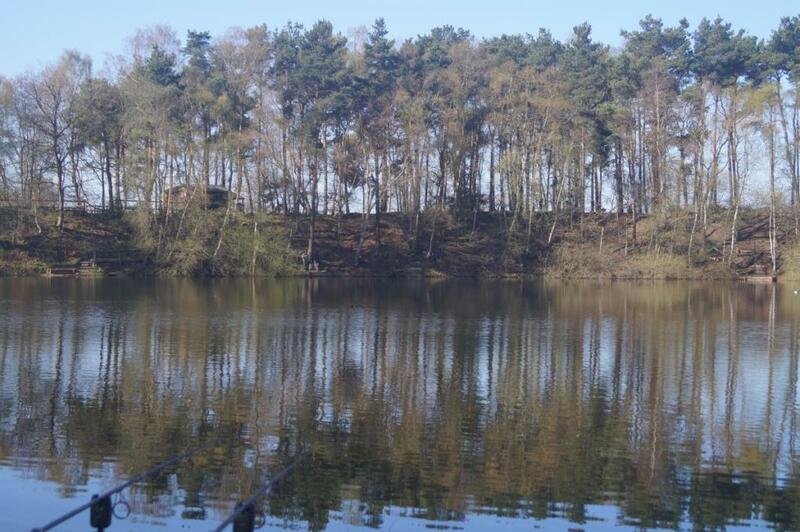 I fished Lymmvale for the first time on Wednesday having read on the members forum what a great water this is and it really didn’t disappoint. 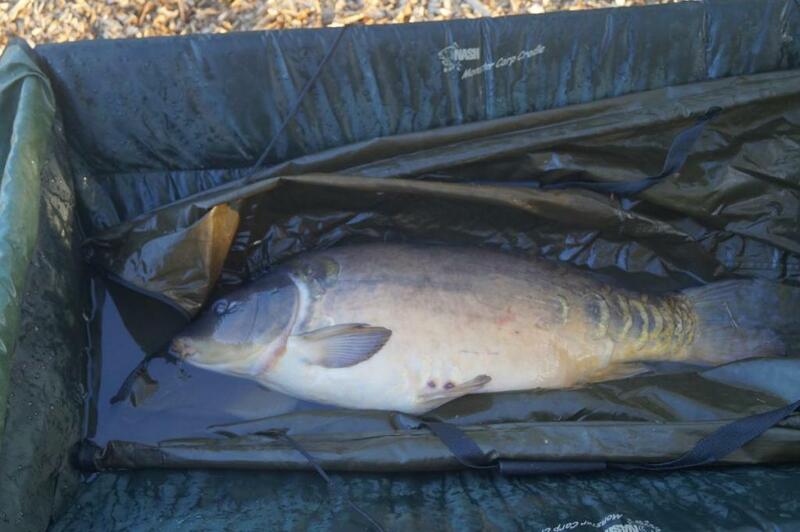 Only managed the one but it was a lovely 23lb mirror so I went home one happy chappie!! Managed a couple of self takes with the camera, though my capacity for making even decent size fish look small continues and being 6’3″ doesn’t help. The fish came at 6.30am to a big bunch of maggots fished over maggot hemp and corn, strangely I also caught a 4lb tench on a double boilie bottom bait! Another stunning Lymmvale resident visits the bank!! Thursday was a lovely hot day and although I caught no more after first light, the carp really came to life and were showing all over the lake, cruising the upper layers all day. 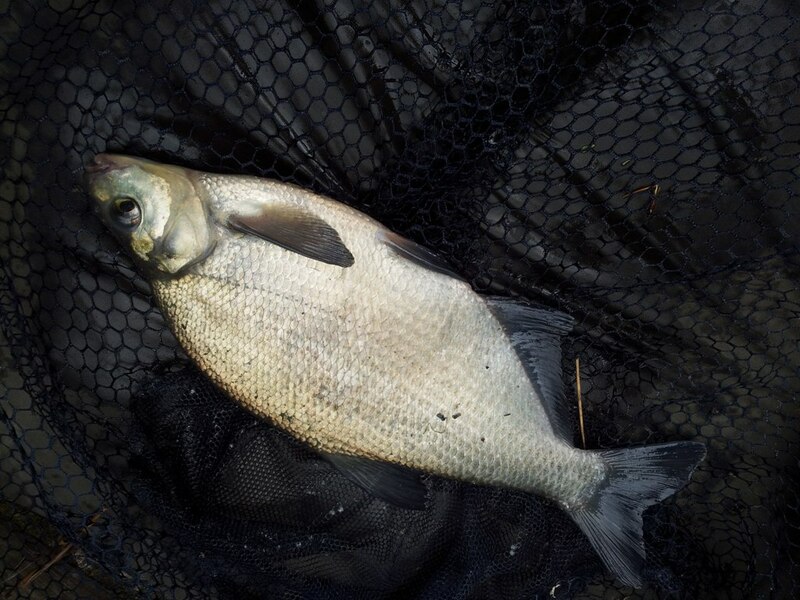 I even tried a zig, even though it still doesn’t feel like ‘proper’ fishing to me, and still nothing but it was just good to see that they had well and truly thrown off their winter slumber. 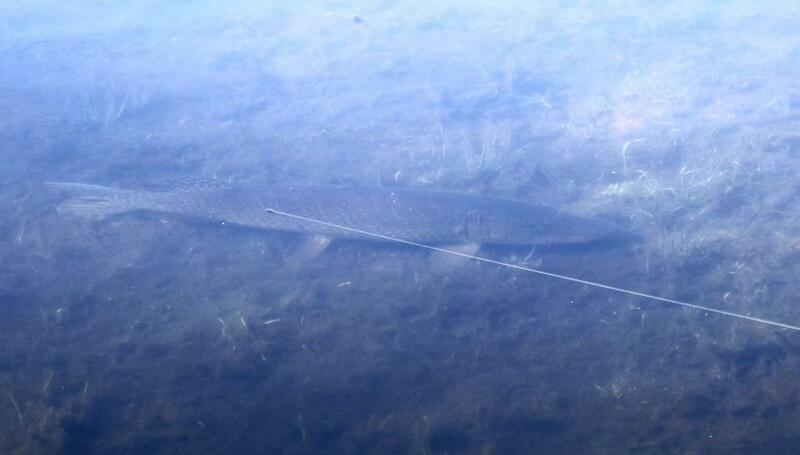 A nice bonus was the couple of visitors I had in my swim in the form of the 2 resident pike who happily spent all day sunning themselves in the shallows and were even good enough to pose for a couple of photos. Anyway, it was a lovely first overnighter and I’m itching to get back. I would honestly say this lake is worth the price of the ticket on it’s own!! Needless to say I drove home with a smile on my face. Over the last year or so I’ve spent a lot of time and money at some of the country’s well known day tickets and I can honestly state that that was the most enjoyable session I’ve had in a good couple of years. 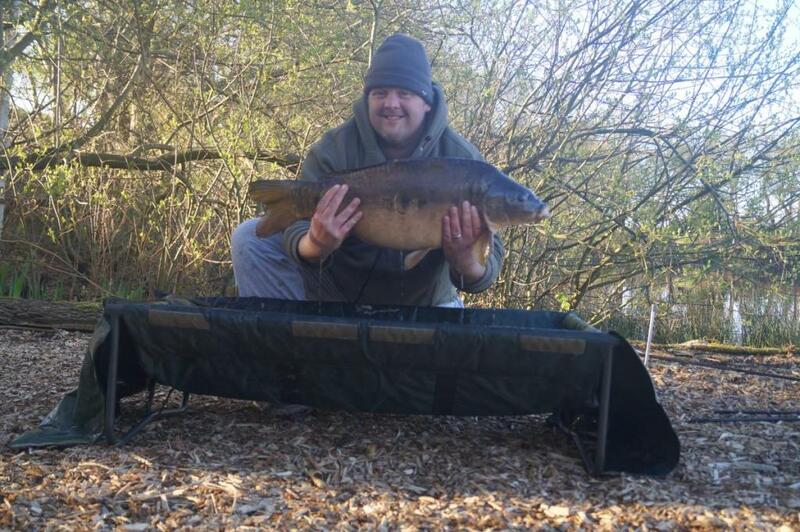 Well done Marc a top result on one of the Northwest’s premier waters, to join us and fish Lymmvale plus over 60 other superb waters click here. 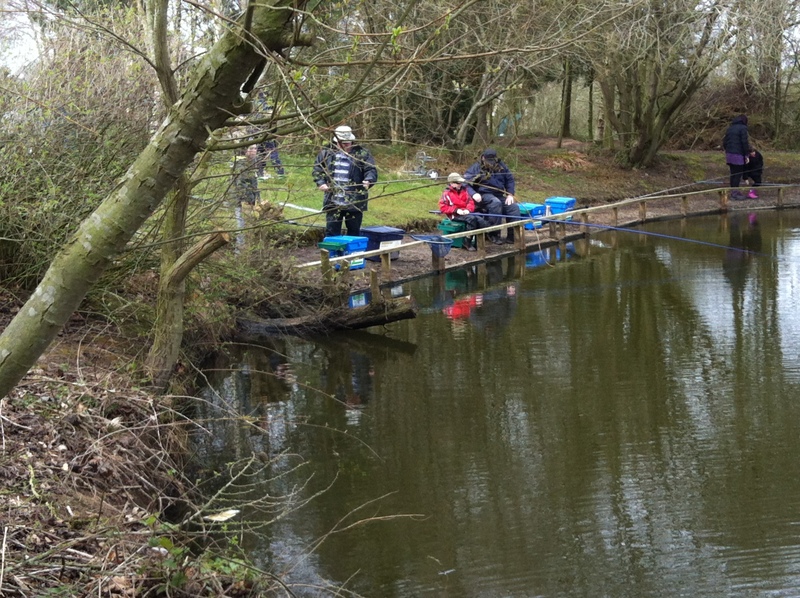 A lovely day for this round at New Pool, it has been a warm week and fish have been moving round. The small fish that have been hiding for the last few weeks came out to play. 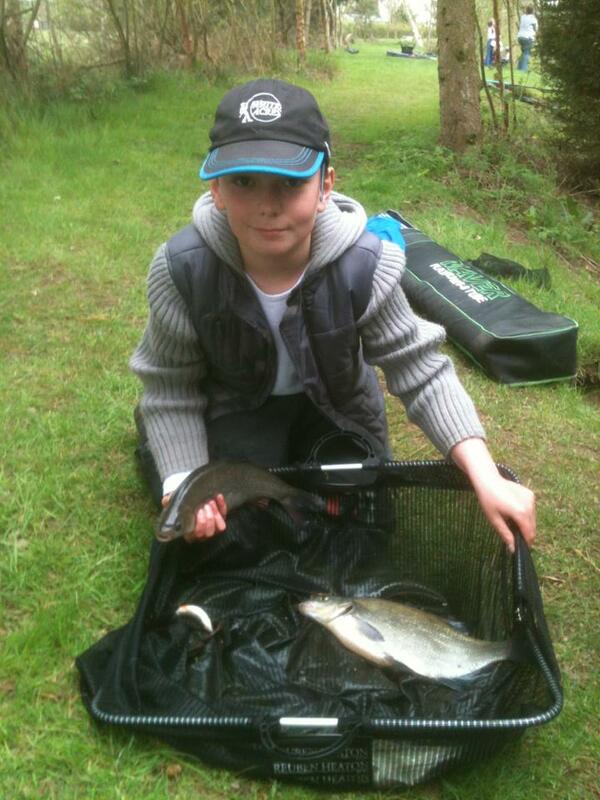 With warm weather the Academy sessions were full and we had some younger participants coming to the drop in session. Drop in sessions are in full swing. 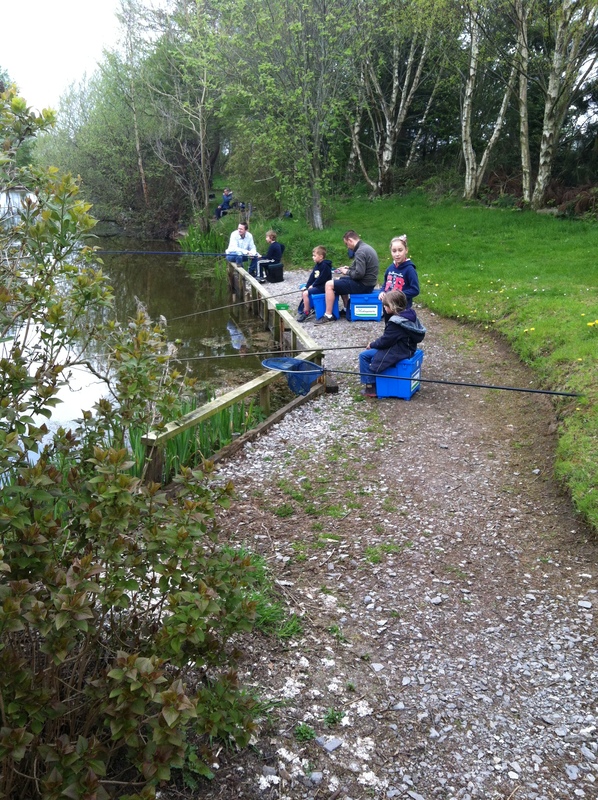 The drop in sessions are where people can borrow some equipment and go fishing. 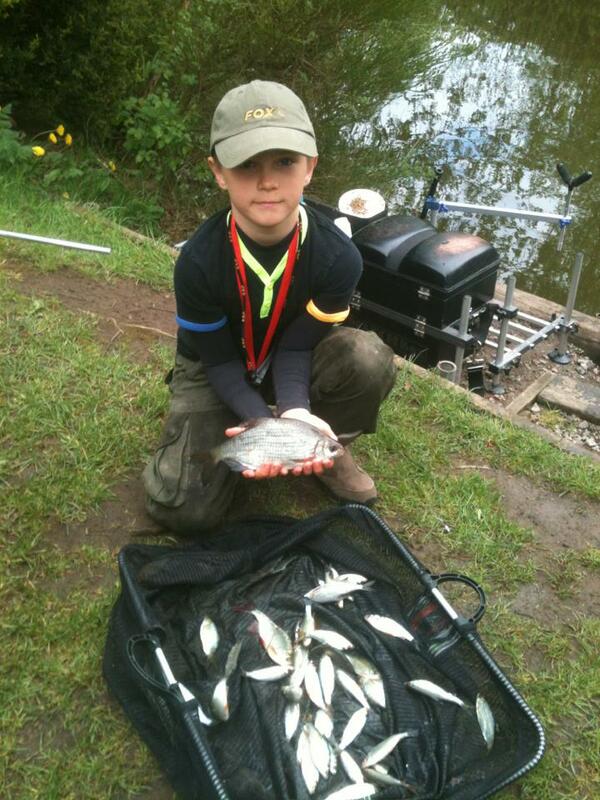 Morning Academy sessions, plenty of fish being caught. 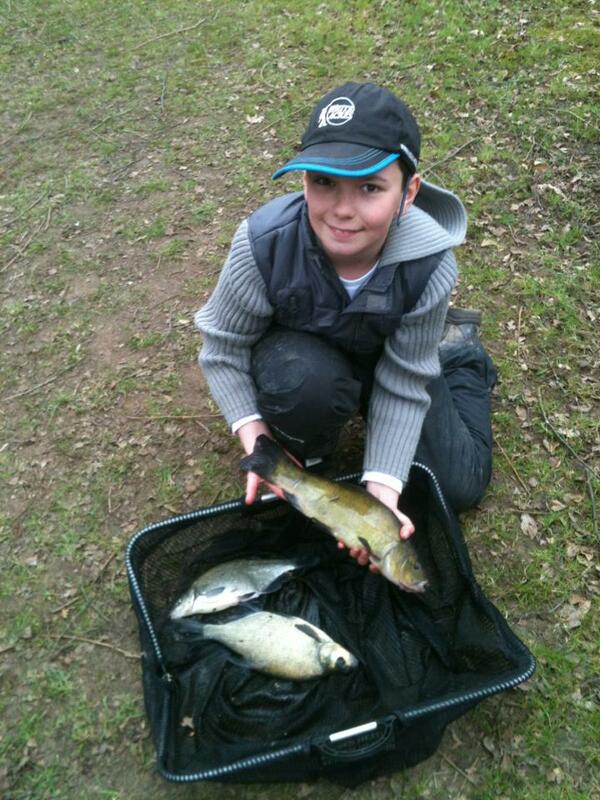 Afternoon Academy session star Callum had 5 fish. 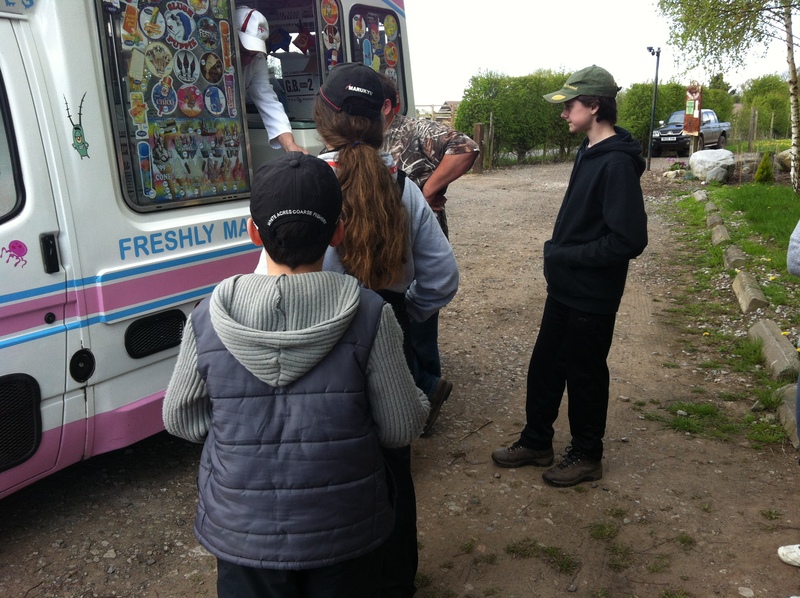 We had a surprise visit from the local ice cream man!! 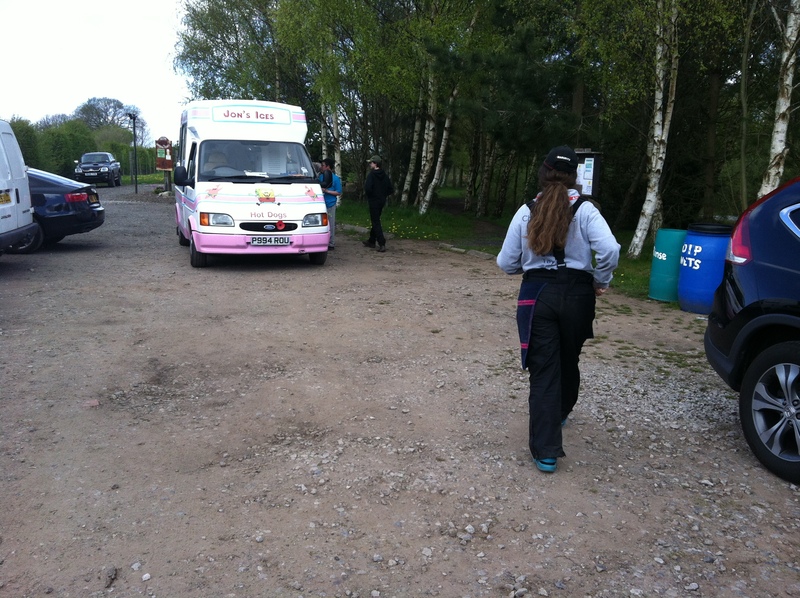 Thanks Mark for the ice creams. 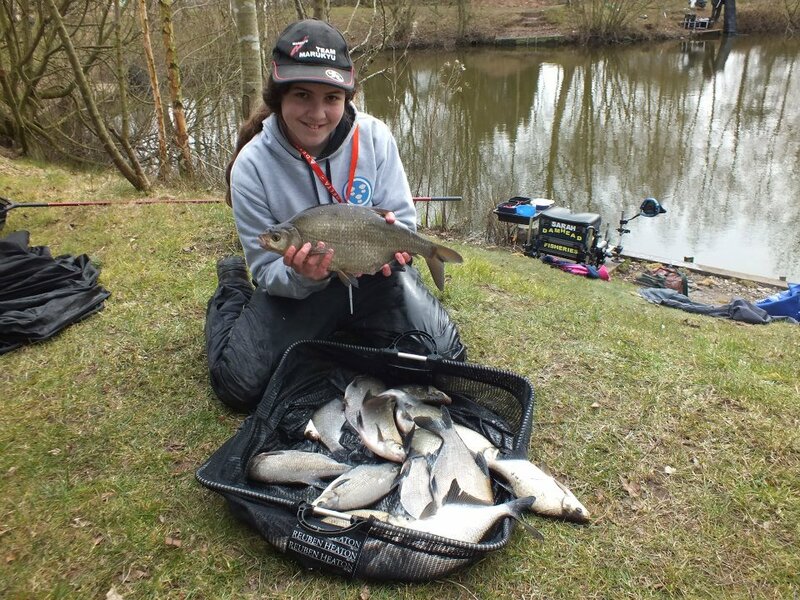 Onto the match and eight anglers took part in the fourth round of Spring Series, with the warm weather the flyer peg was drawn by Sarah, this was the peg which produced 18lb last time Sarah fished it. 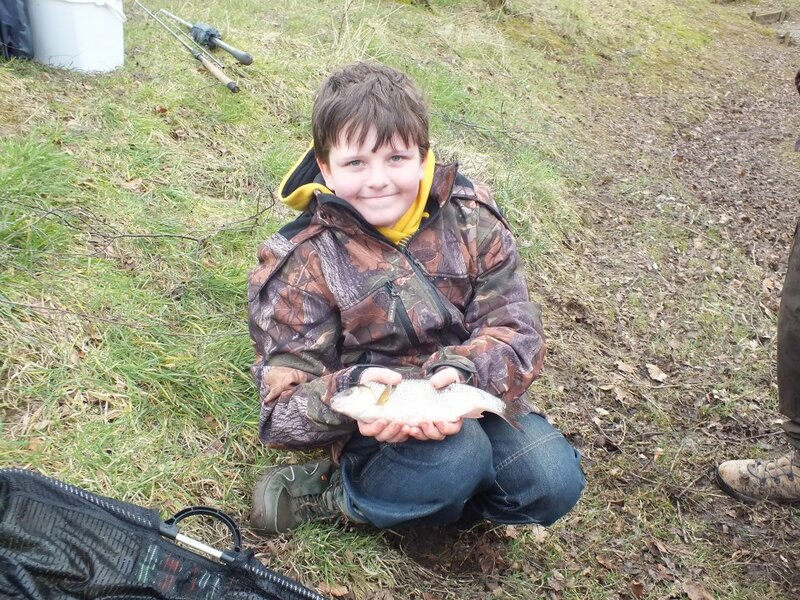 The shoal of fish however, seem to have broken up which opened the match up to the other anglers, Alex caught an early tench and Callum was catching nice fish. 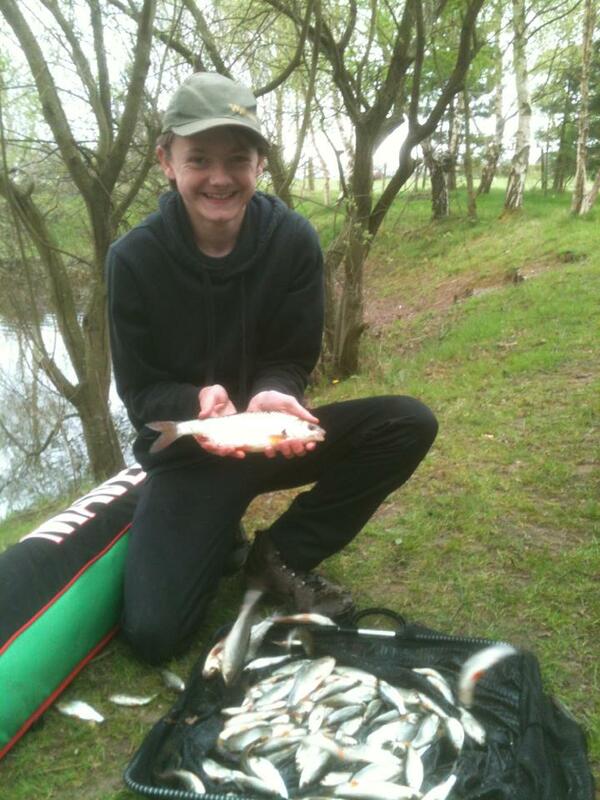 Connor Higham was catching steadily with small roach and golden rudd. 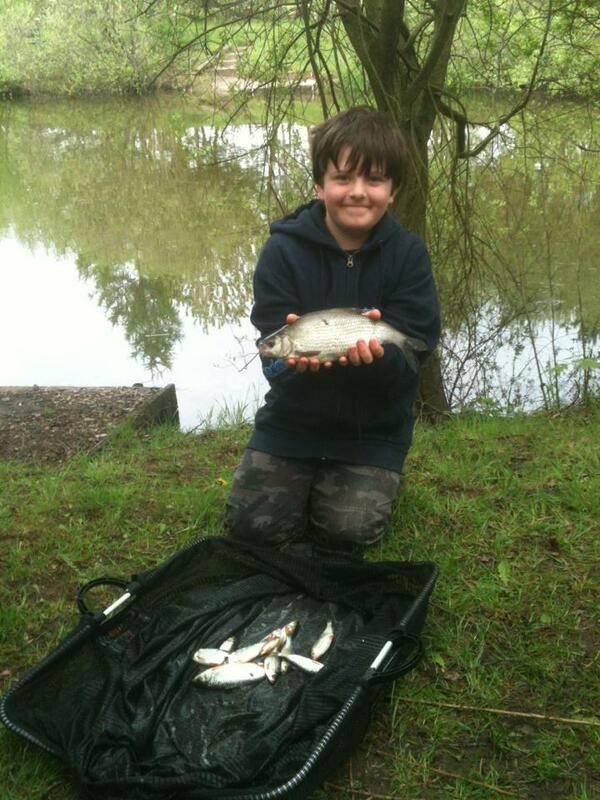 Richard Handley’s 3lb 1oz of small roach including one nice roach. All caught on his new pole! 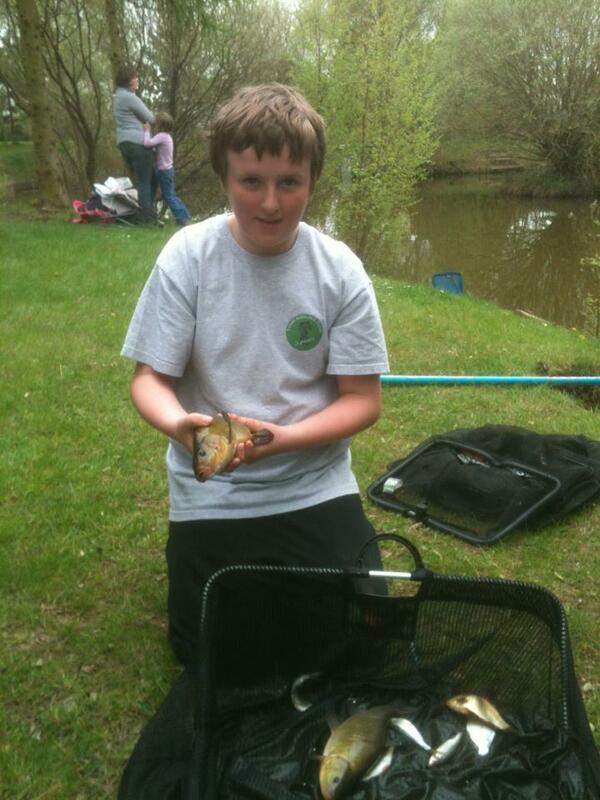 Jack Ross also with a new pole had 1lb 2oz. Series results after 4 rounds. Anglers can drop their highest two results. 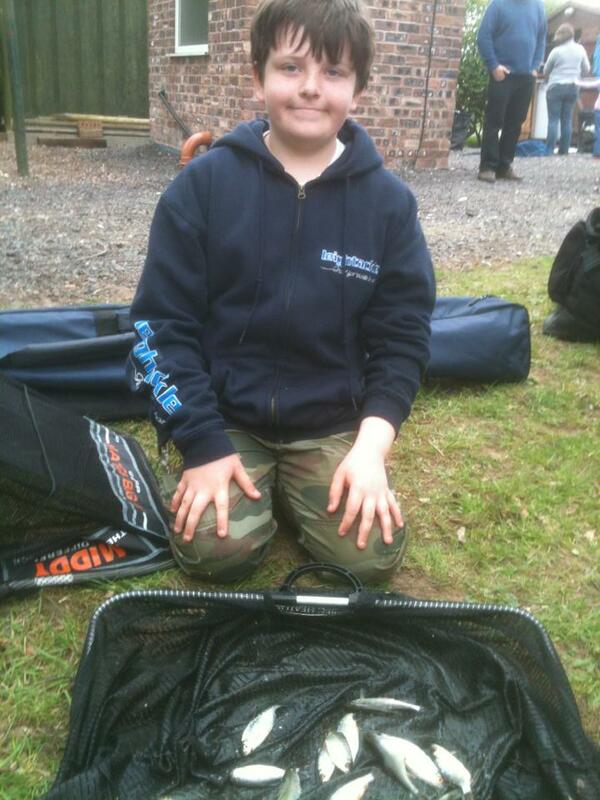 The angler with the LOWEST points total at the end of series win. 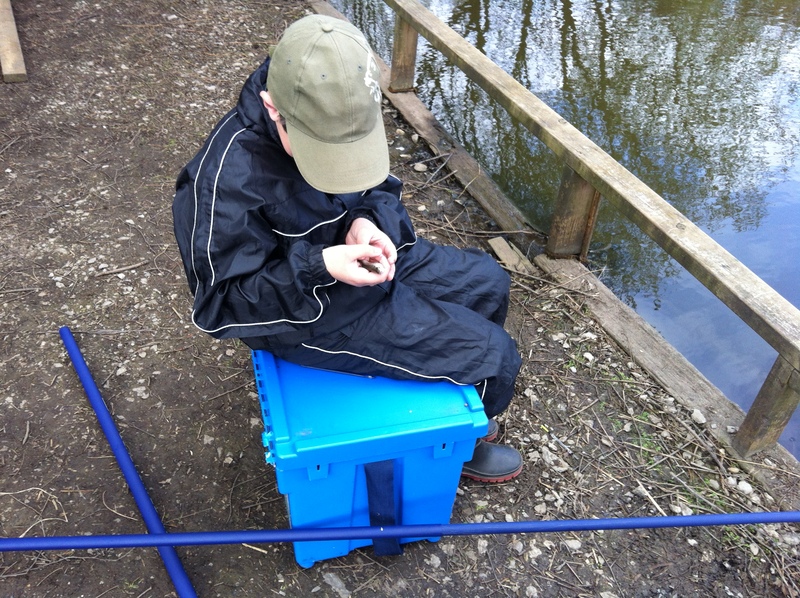 For a blank (where the person attends but does not catch) you get one point more than the angler with the lowest weight. 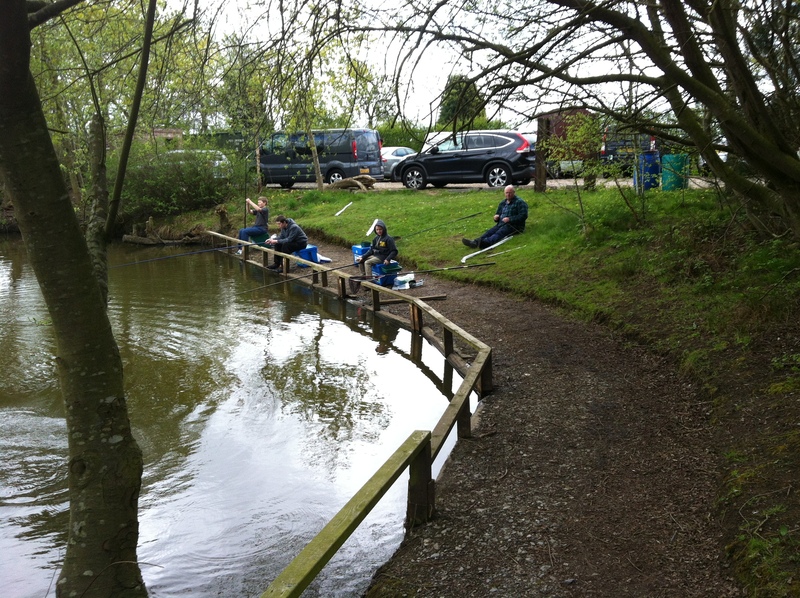 If an anglers fails to attend a match they recieve the one more point that the number of anglers who have entered the series. 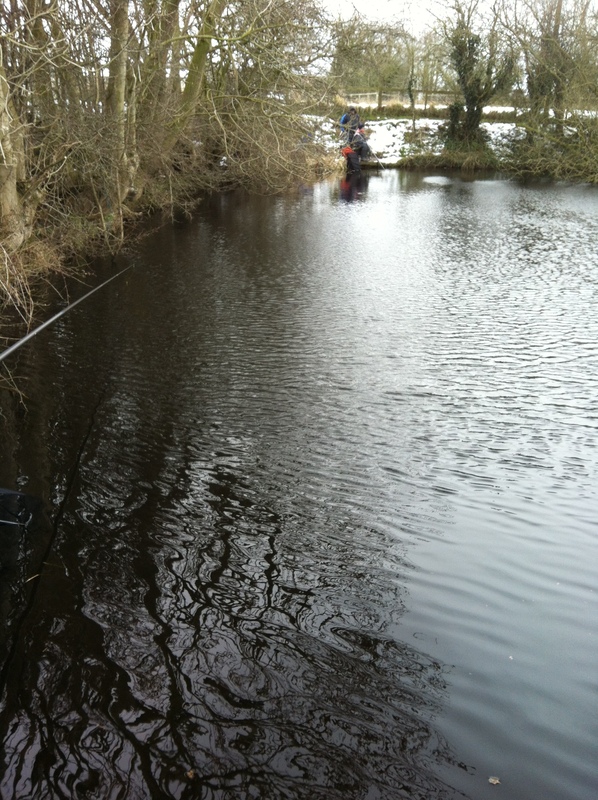 With another dip in temperatures fishing was going to be tricky and weights dropped off. It was the second session for the Academy and six bright young faces turned up with enthusiasm in abundance. 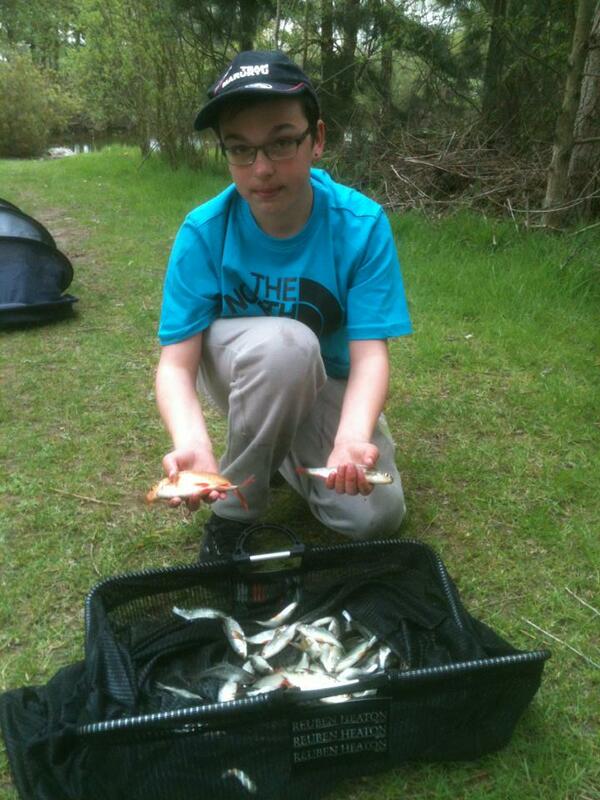 Almost all managed to catch fish some with stunning roach. On the Match side this week was a very close affair. 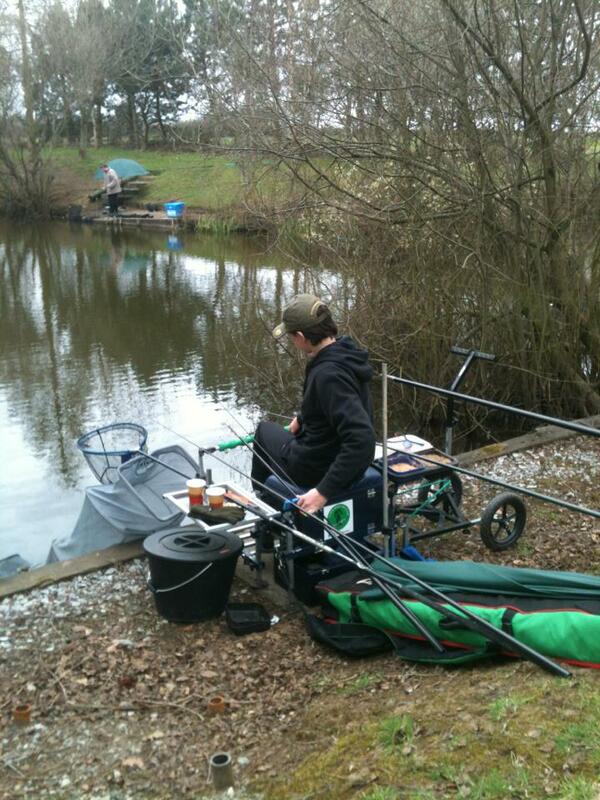 Callam started positively with a skimmer in the first half hour, not long after Alex Warham began catching skimmers. 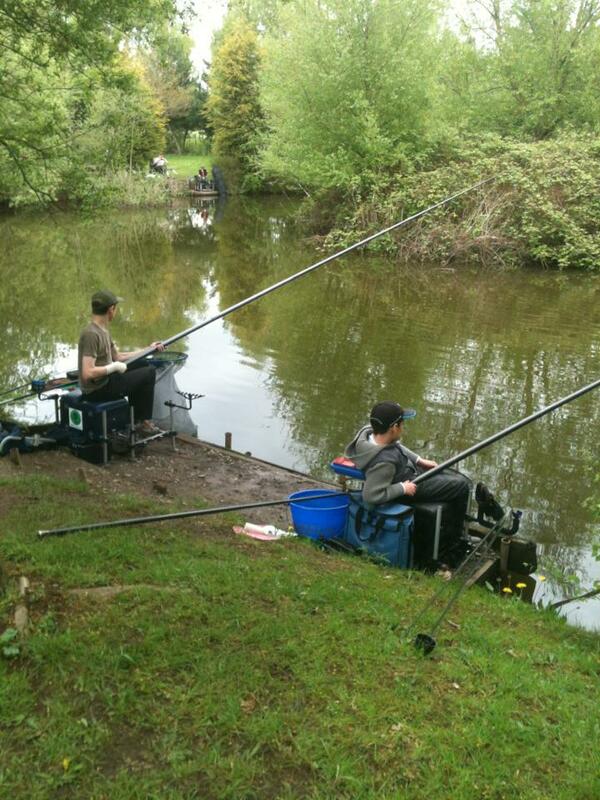 Both anglers could see each other and the competition on. 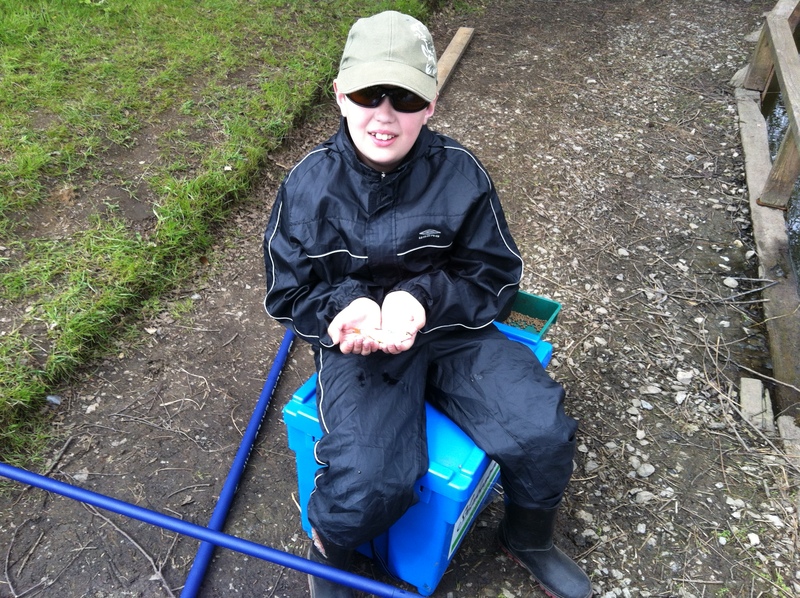 Callum was catching bigger fish however, Alex was catching smaller fish more regularly. In the end it come down to 2oz. 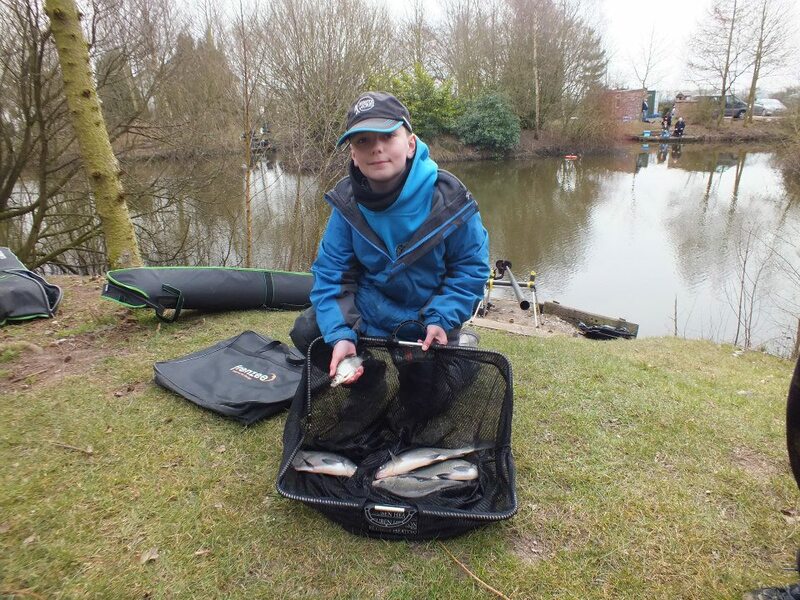 This was the rescheduled first day of the Academy series and 6 youngster got their hands on a starter kit and 5m Pole and began fishing. 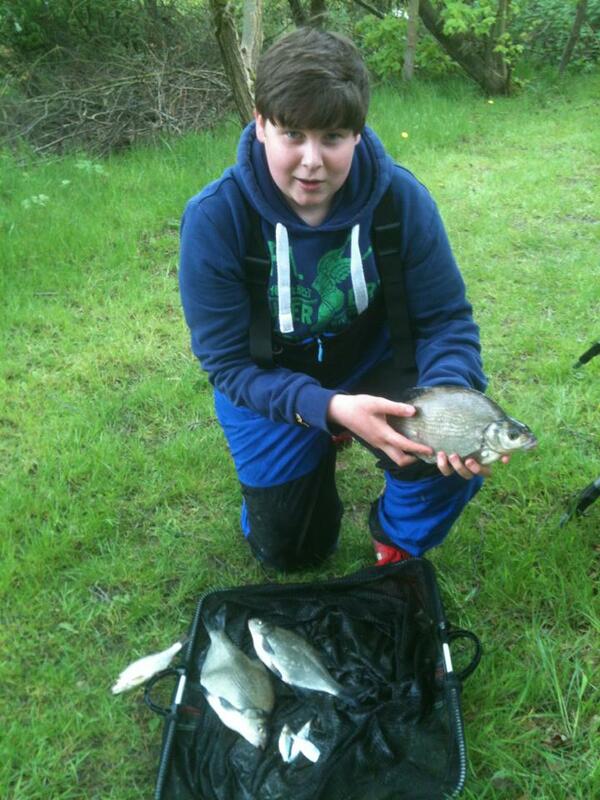 Most caught, the lead angler had over 15 fish and was very proud of his short two-hour session. 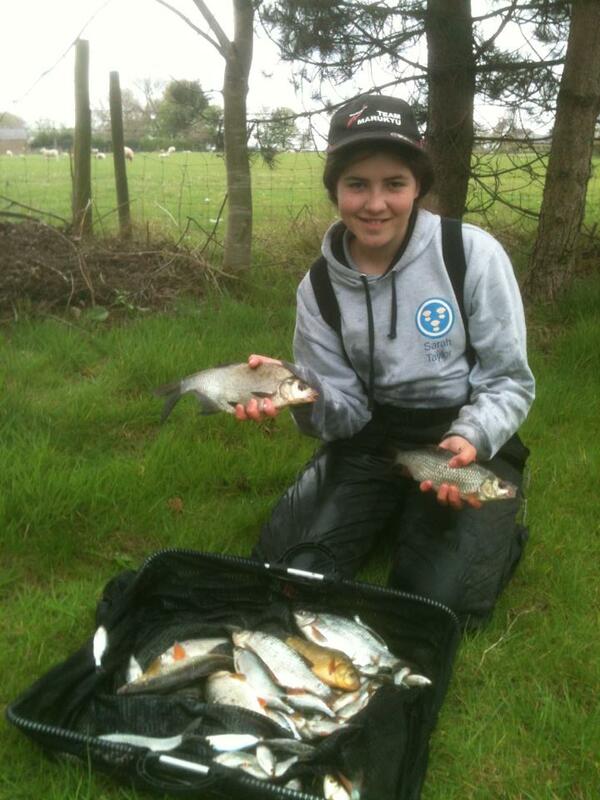 In the Match Sarah Taylor walked away with the win taking 18lb of Skimmers including some large Bream mainly caught on pellet at 10m. 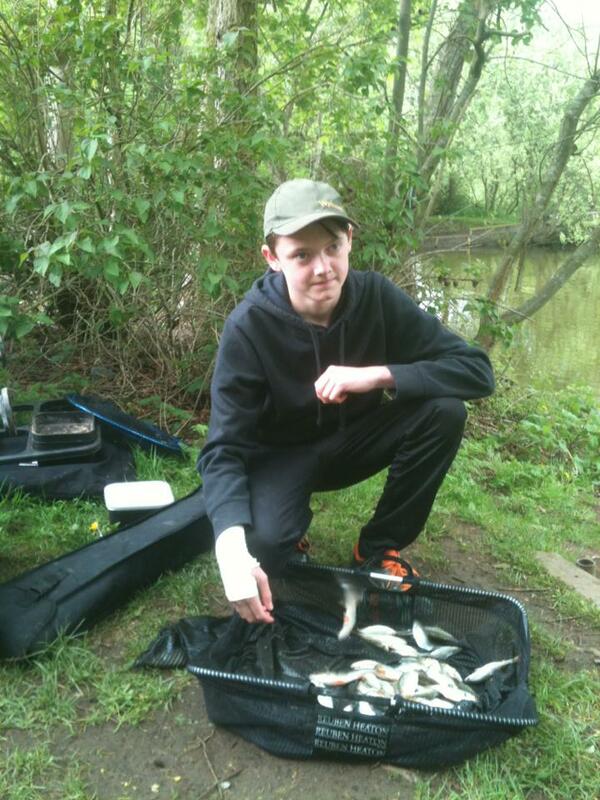 Second was Callam McCormack who managed to take a few on the feeder between the two islands and also a few on pellet. 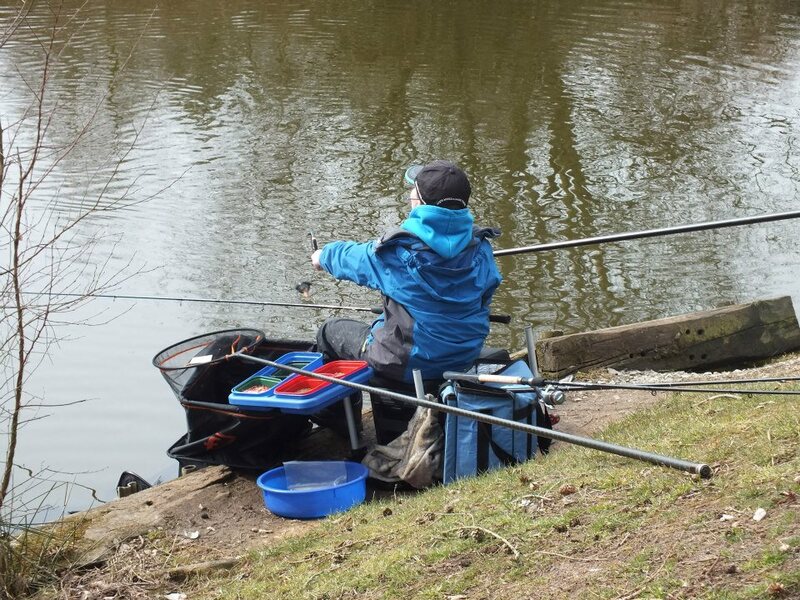 Due to cold weather we had to cancel the Academy sessions and almost cancelled the match however, six hardy youngster braved the snow and ice to fish the last match at Woodside Pool before moving to Springpool Fishery. The match was won by Alex Warham with 4oz followed by Kyle Hickman with 1oz.